SmartRIVER is an innovative open-source web-cloud-based service that implements of a set of data-driven methods for river discharge forecasting for a specific catchment of interest. 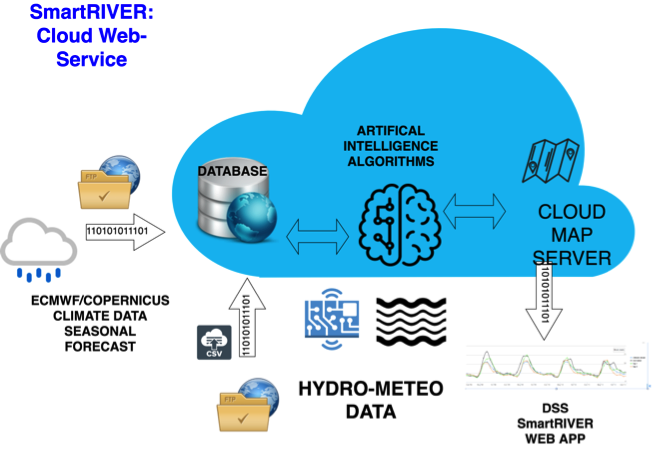 SmartRIVER exploit Open-source public available meteorological forecast (Copernicus CS3) and local monitoring stations (meteorological variables and discharge) feed a set of heterogeneous artificial intelligence algorithms (Support vector regression, Gaussian process, LSTM). SmartRIVER has been successfully tested and is fully operative for several catchments of interest, located in Italy, providing affordable and valuable run-off river forecast to water managers and hydropower energy producers. Water availability prediction is a tricky task for water resource managers in irrigation, energy producer and water supply sectors. SmartRIVER is an efficient, easily accessible and user friendly tool able to predict available river discharge 1 to 3 months in advance. We tailor the SmartRIVER service based on user needs and available data. If your business is dependent on accurate monthly water availability prediction SmartRIVER is the service for you. The forecast system relies on data driven artificial intelligence (AI) algorithms, partly already applied in published research (Callegari, et al., 2015, De Gregorio et. al 2017) with encouraging results. 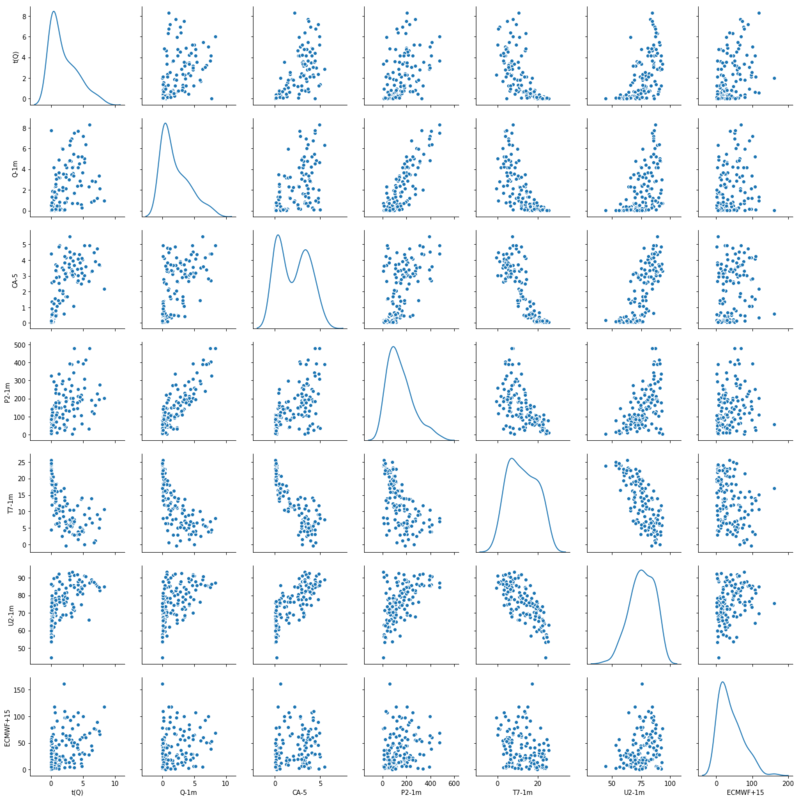 Currently SmartRIVER exploit a wide set of AI algorithm from machine learning-ML predictors (support vector regression-SVR and gaussian process-GP) to deep learning (LSTM). Major operative advantages of AI with respect to mechanistic hydrological models include limited to none a priori knowledge of involved physical phenomena, high level of flexibility when managing heterogeneous sets of variables related to discharge generation, and quick setup time of the forecast system. Find out the SmartRIVER demo now!